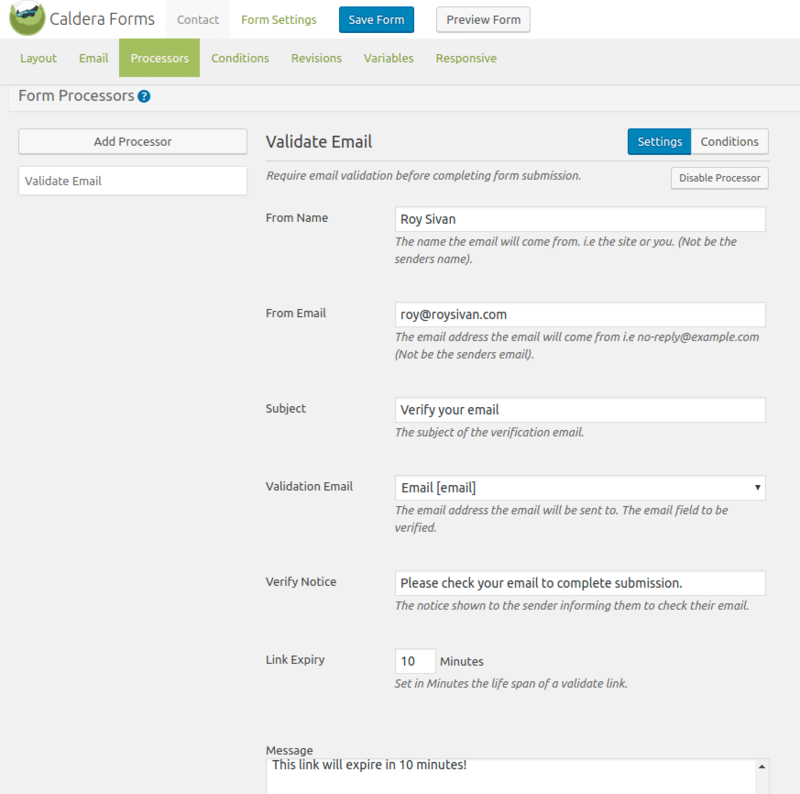 If you would like to ensure that the email submitted in your Caldera Form is valid, by forcing the site visitor to click a link in their email, you can use the free verify email add-on plugin. In the Processors tab click the New Processor button. 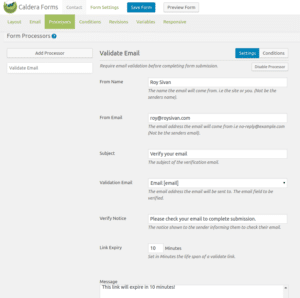 In the processor settings, choose the email field from your form in the Validation Email setting. Make sure to use your email in the From Email.